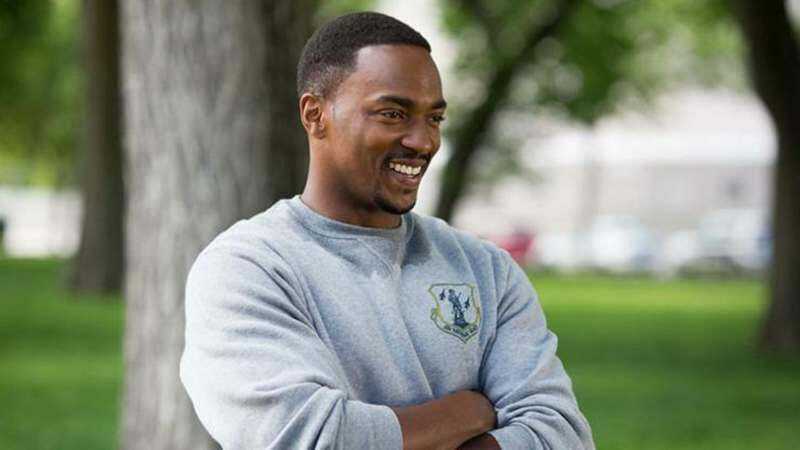 After taking on the role of a high-flying hero in the Captain America and Avengers franchises, Anthony Mackie is set to play a slightly more (or less, depending on your perspective) down-to-earth figure: the actor will portray iconic civil rights leader Martin Luther King Jr. in the cable TV adaptation of the recent Broadway hit All The Way. Mackie’s Dr. King will appear opposite Bryan Cranston’s Lyndon B. Johnson, and Pulitzer Prize winner Robert Schenkkan will adapt his own work for the premium cable audience. HBO secured the rights to the play last July, when it was announced that Cranston would reprise his role as LBJ. Though Cranston did not originate the role, he did ride it halfway to an EGOT, nabbing a Best Actor Tony in 2014 to go with his Breaking Bad Emmy. All The Way is just one of several new projects for Mackie, who’s in high demand these days. He’s just wrapped Xmas and Shelter, and in March he signed on to play Jesse Owens in an as-yet-untitled film about the Olympic medalist. Mackie knows his way around a biopic, having appeared as Tupac in Notorious, some guy from Eminem’s youth in 8 Mile, and a Slayer in Abraham Lincoln: Vampire Hunter.